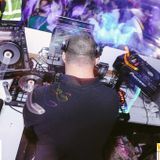 DJ Masa was born in Valencia (Venezuela) and currently he is living in London (UK). He says about himself that he is a Dirty House and Latin House specialist. His Knowledge and experience go further than Dance music, He also succumbs to Techno, House, Electro, Tribal, Trance, Hip Hop, R&B rhythms and of course to Latin Music. A wide range of styles that makes everyone react. Since he started D-jing in 1991, DJ Masa has tried to enhance his reputation to be recognised by his fans in Venezuela, EEUU, The West Indies, Holland, Prague, Poland, Greece. Finally, he arrived and stayed in the Clubs Capital… London (UK). From 2006, DJ Masa has become one of the most in demand DJs in the city. Thanks to his background, experience and fame he is now the resident DJ in Pacha Club, London. He has played in clubs such as: Club pacha London, Tiger Tiger, Walkabout, Rubby Blue, Seone Club, Cable Club, Fabric and the world famous club "Ministry of Sound".